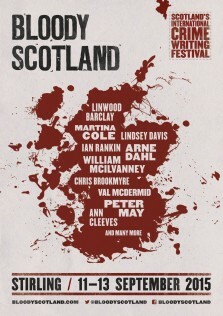 My husband and I recently attended the Bloody Scotland Crime Writing Festival in Stirling, Scotland. We managed to get a table in Henderson’s Bistro for coffee and cake. This, in itself, is an achievement. I strongly advise you to book a table! Henderson’s Bistro is located within Stirling’s premiere functions venue, The Albert Halls in Dumbarton Road, Stirling. 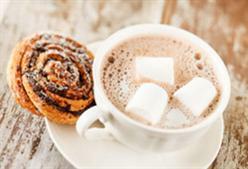 It offers mouthwatering cuisine and a bespoke approach to all things culinary. We were only there for coffee and cake between events on the Friday afternoon, but even then there was only one small unreserved table in the corner. Still, it was big enough for two people and there were only two of us. The menu for meals is varied and original. It includes an interesting dipping platter to share amongst its starters. This caught my husband’s eye. My mother’s favourite, sea bass, was on the menu as a main and my particular favourite, a trio of deserts was amongst the puddings offered. There is no doubt that Henderson’s Bistro is a very self-important restaurant. It is in a prestigious position within the Albert Halls and the staff are well aware of this so the reception given to those who have failed to reserve a table is rather superior. However, once you cross that barrier and secure a table, the service is friendly and professional. We enjoyed our visit and would go back – with a reservation!